Three years have passed since Jack Hunter changed the course of history. 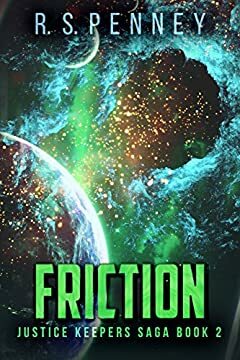 Now, a terrorist threatens to fracture the delicate alliance between Earth and Leyria, and Jack finds himself neck-deep in a world of danger and scandal. Allegiances shift as conspiracies surface, and distinguishing friend from foe will be the most difficult test Jack has ever faced. ????? - "The Justice Keepers Saga just keeps getting better." ????? - "R.S. Penney has pulled me into a richly-woven tapestry of action and adventure that I cannot get enough of."